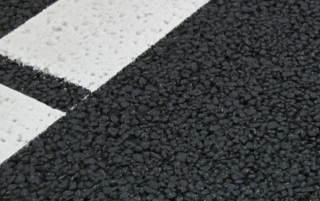 Different asphalt mixtures are available for the top layer of an asphalt road. The top layer is normally called the “surface course” and the type of surface course mixture chosen depends on the requirements for the road surface. The selection of the surface course is a matter of identifying the most appropriate material during the design process. The functional requirements can conflict. 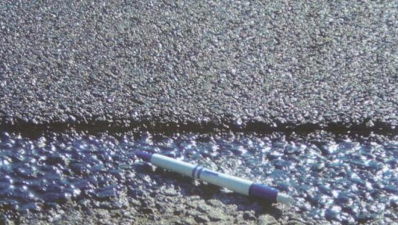 For example, noise reduction could require the use of a double-layered porous asphalt and that conflicts with the requirement of a very durable surface layer. The durability of surface layers can be improved by using higher quality materials. The higher costs of these will be compensated by the lower costs of traffic measures and user costs. The following descriptions of the asphalt mixtures are based on the definitions that are given in the European Asphalt Standards (EN 13108 series). The text in inverted commas are the definitions use in the European asphalt Standards. “Asphalt in which the aggregate particles are continuously graded or gap-graded to form an interlocking structure”. 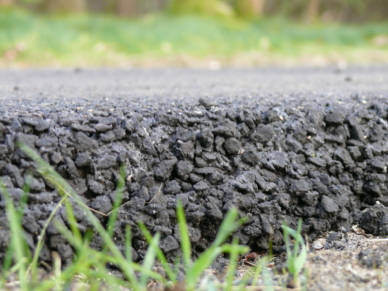 Dense asphalt concrete is often used as the ‘basic’ surface layer. “Asphalt for surface courses with a thickness of 20 mm to 30 mm, in which the aggregate particles are generally gap-graded to form a stone to stone contact and to provide an open surface texture”. This mixture is often used in France and is called BBTM (Béton Bitumineuse Très Mince). “Mixture of aggregate and soft bitumen grades”. 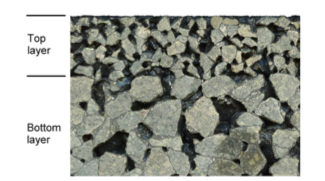 This flexible mixture is used in the Nordic countries for secondary roads. “Dense, gap graded bituminous mixture in which the mortar of fine aggregate, filler and high viscosity binder are major contributors to the performance of the laid material”. 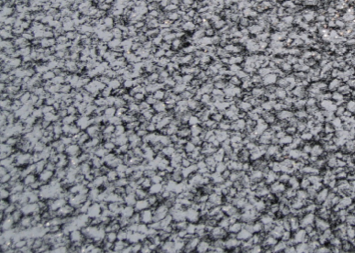 Coated chippings (nominally single size aggregate particles with a high resistance to polishing, which are lightly coated with high viscosity binder) are always rolled into and form part of a Hot Rolled Asphalt surface course. 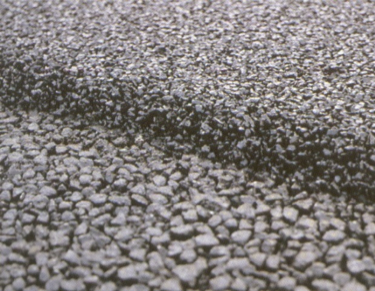 This durable surface layer was often used as a surface layer in the UK. “Gap-graded asphalt mixture with bitumen as a binder, composed of a coarse crushed aggregate skeleton bound with a mastic mortar”. This mixture is of often used as a surface layer in case high stability is needed. The surface structure also has good noise reducing properties. “Voidless asphalt mixtures with bitumen as a binder in which the volume of filler and binder exceeds the volume of the remaining voids in the mixed”. This mixture is very durable and was often used as surface layer in certain countries. “Bituminous material with bitumen as a binder prepared so as to have a very high content of interconnected voids which allow passage of water and air in order to provide the compacted mixture with drain and noise reducing characteristics”. The top layer with a grain size 4/8 mm is about 25 mm thick and the second/bottom layer is porous asphalt with a course aggregate (11/16 mm). The total thickness is about 70 mm. Because of the finer texture at the top (that gives less tyre vibrations), it gives a better noise reduction than a single layer porous asphalt. “Asphalt for Ultra-Thin Layers (AUTL) is a hot mix asphalt road surface course laid on a bonding layer, at a nominal thickness between 10 mm and 20 mm with properties suitable for the intended use. The method of bonding is an essential part of the process and the final product is a combination of the bonding system and the bituminous mixture”. AUTL is a mixture in which the aggregate particles are generally gap-graded to form a stone to stone contact and to provide an open surface texture. Several varieties of this layer are often used to provide a good, new noise reducing surface layer. The difference between the mixtures with regard to structure and skeleton is illustrated in figures 1, 2 and 3. 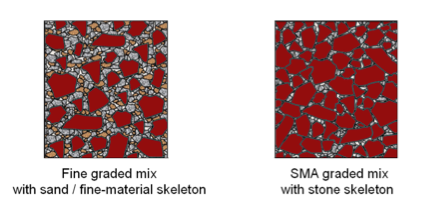 Figure 1: Difference in structure between AC, SMA, BBTM and PA.
Asphalt mixtures can be produced at various temperatures. These mixtures are produced with unheated aggregate and bitumen emulsion or foamed bitumen. Half-warm mixtures are: produced with heated aggregate at a mixing temperature (of the mix) between approximately 70 °C and roughly 100 °C. The Warm Mix Asphalt (WMA) mixtures are produced and mixed at temperatures roughly between 100 and 140 °C. These mixes have properties and performance which are equivalent to conventional Hot Mix Asphalt. Due to the lower production temperature compared to an equivalent Hot Mix Asphalt (HMA), less energy is needed for the production. It is also paved at a lower temperature than HMA resulting in lower emissions, lower exposure and improved working conditions for the crew. This lower exposure supports the goal of the European asphalt industry in reducing bitumen fumes during paving operations. The conventional “Hot Mix asphalt” mixtures are produced and mixed at temperatures roughly between 120 and 190 °C The production temperatures of Hot Mix Asphalt depend on the bitumen used.